How become a Postmates Driver? Working for Postmates is a good opportunity to earn money and apply for a job without complex requirements. You are too young for Uber or Lyft? You don't have a car? Why wait? try this job instead. Apply Now for Postmates! At Postmates, they constantly challenge themselves to think outside the box, break the rules, and rewrite the status quo. They're seeking talented free-thinkers who want to learn and grow and new drivers/couriers. Postmates delivery adds to their growth with new customers, doubled revenue each week and new jobs. We focus on the Postmates fleet part and how to become a 'Postmate' and all the advantages it has. If you are looking for a job with flexible hours, in which you can set your own schedule and choose to work when it suits you, you are at the right place! 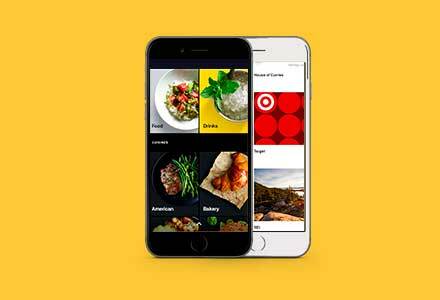 Postmates is an app that allows online ordering. More precisely and this is the big difference between Postmates and Doordash, it allows you to order whatever you want wherever you are. Below you will find a complete checklist of all Postmates driver requirements and Postmates vehicle requirements. The onboarding processto become a 'Postmates' will take a few minutes. You will then just have to pass a backgrand check. It's easy, no? 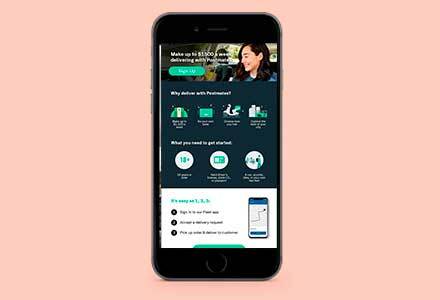 Postmates Driver: how it works? Unlike Uber drivers you will not have to perform a rideshare service. 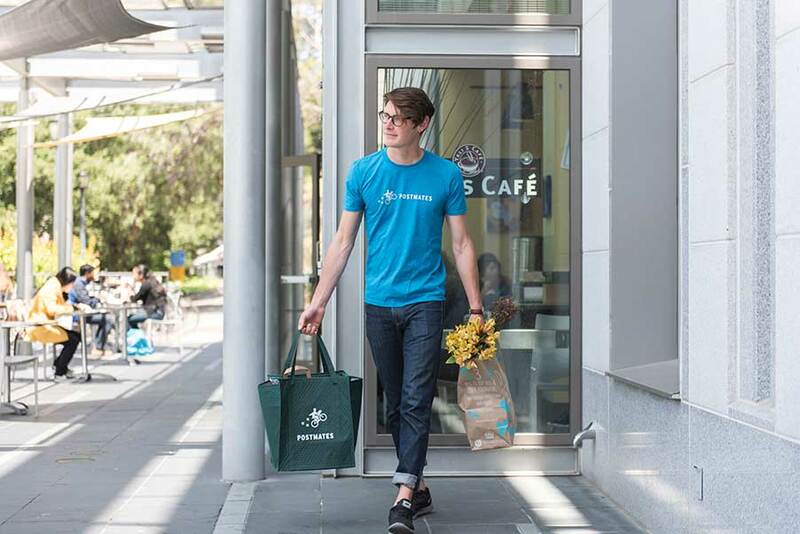 As a 'Postmate' (Postmates driver) you will have to pick up the goods ordered by the customer from the merchant and deliver them to the location chosen by the customer. Drivers are then provided with the prepaid card (it's a debit VISA card). All Postmate receive the insulated bag and the prepaid card with the welcoming kit. The funds of the prepaid card are loaded on it for each purchase. You are not the card holder but you will always have to have it with you when you are online to pay the merchant. What do you need to start the Postmates application process to become a 'Postmate'? Unlike Uber or Lyft, there are no vehicle requirements to work with postmates, when you sign up you only have to choose how you want to make deliveries. Here is a list of the means of transport you can choose. The company’s car requirements are pretty simple – all you need is a vehicle, Postmates does not require a vehicle inspection. Obviously, choosing to use a bike or a scooter to work with Postmates is more save money. But if you use a car we have prepared a series of tips for you that will help you save money . In any case that you choose the bike or a car, do not forget to consult the part dedicated to Postmates drivers tax deductions of our website. I guess you are eager to know how much does a Postmates driver earns. Postmates recently began an incentive program that guarantees you will make a specified amount of money. If you want to join Postmates Fleet, after signing and before starting to work, you will have to pass a background check. Postmates background check is a step of the onboarding sessions to join Postmates fleet and become a Postmates driver/courier. It is a review of your criminal and personal records. A lot of employers run a background check, it's a employment screening and the process of looking up your criminal and personal record. Postmates drivers as well as doordash drivers or rideshare drivers are independent contractor. Safety is extremely important to Postmates, obviously Postmates is a secure platform and they screen all of Postmates'candidates with thorough background check. Postmates reserves the right to disqualify a driver if their background check reveal any disqualifying offense in the last 7 years or for any other safety-related reason. How can I verify the status of my Postmates background check? You can visit the Checkr portal here to check on the status of your background check: applicant.checkr.com, or login to your Postmates fleet account. 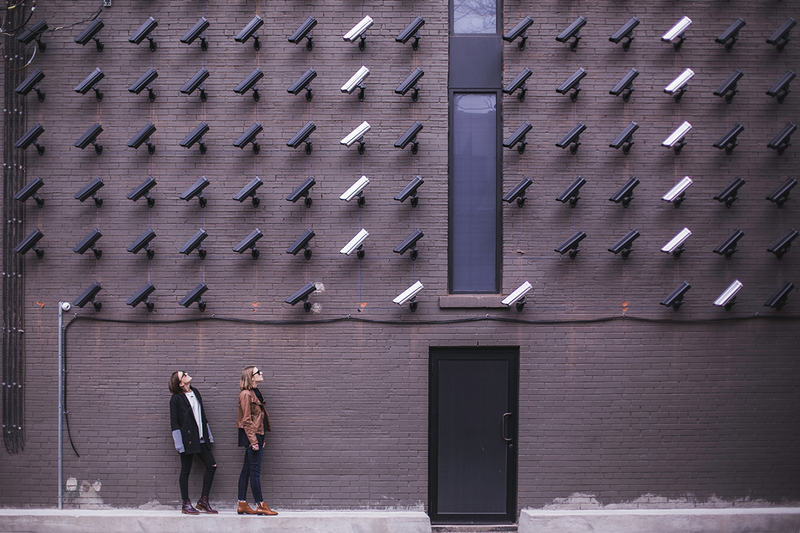 Learn what expect on Postmates background check and more tips and information on how to pass it and our Postmates background check F.A.Q page. Did you know you can can remove point from your driving record? Learn how to do it. Do I need to join an orientation to get started? During the sign up process, you will need to provide information about yourself: name, phone number, market, mode of transportation, current mailing address for your Welcome Kit, social security number for your background check, and date of birth. After filling out this information during the sign up process, you will be taken to a checklist to finish the onboarding process where you will upload a selfie. 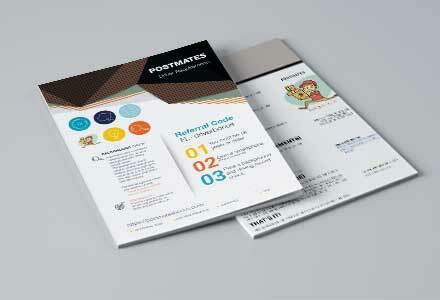 You'll receive by mail your Postmates Prepaid Card and hot/cold bag to arrive at your address. As soon as it arrives, please link your Postmates Prepaid Card to your account at fleet.postmates.com/settings. Once you link your card, the final part of the process is kicked off, you can download the fleet by following our instructions App and start to drive. Yes, but the insurance coverage for Postmates drivers is minimal. You can check with a rideshare insurance agent to be sure you are correctly insured. Postmates is growing and has several open job positions. 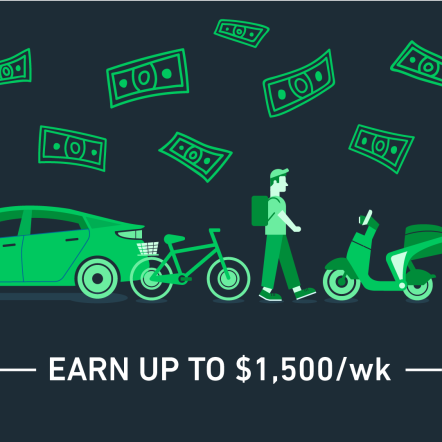 Join Postmates Fleet is a way to earn money. The on boarding process is easy, there are no complex requirements. Thanks to Postmates promo code you will earn more money. Do you want to give a preview? Here is a collection of our documents.